Reverse Singly Linked List is one of the best all time favorite interview question for me. I remember asking the same questions to interviewer in different way. In this tutorial we will go over simple way to reverse Linked List in Java. First create a Linked List. Add 8 elements to it. // @Override indicates that a method declaration is intended to override a method declaration in a supertype. Check out result. Here is an Eclipse Console result. 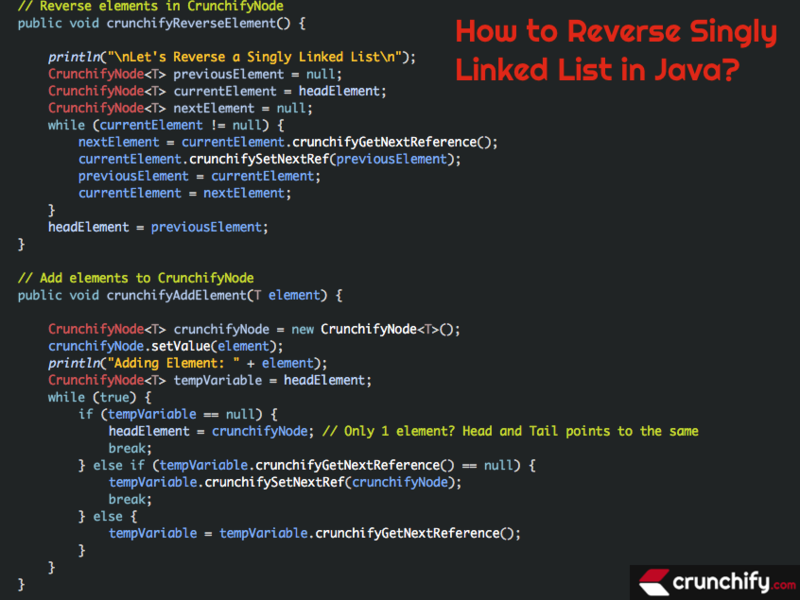 Hope you get a complete picture on how to reverse a Singly LinkedList in Java in best simple way. Let me know if you have any questions. How to Reverse a String in Java?